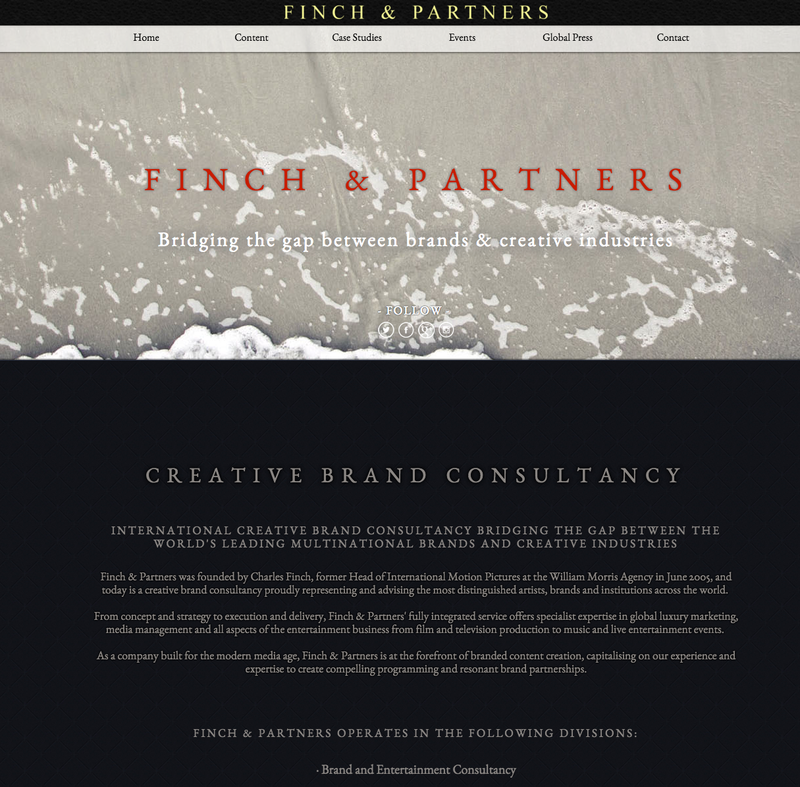 Finch & Partners is a creative brand consultancy that bridges the gap between leading multinational brands and creative brands. They had a very outdated website that did not represent their services and which had poor SEO. Finch & Partners wanted an easy-to-use, design-led, state-of-the-art website to quickly convey their multi-channel global service offerings. We created a website that pushed the capabilities of online development to simply convey a complex service. The website was responsive and optimised for SEO, but more importantly, it was a one-of-a-kind with innovative design that was tailored perfectly to the needs of the client. The company saw increased lead generation through the website and online applications. The site won 8 awards, including the prestigious Awwwards which recognise the talent and effort of the best web designers, developers and agencies in the world. As a result, our in-house creative was ranked 480th best cross-specialty designer in the world (A-Design Award). CHC Digital is an inventive, honest and commercially creative web design and digital marketing agency. We have worked with prominent brands from across the globe to transform businesses online while winning some of the industry’s most prestigious awards. Working as a dedicated team, we pride ourselves on our strong relationships with our clients and in providing high quality work. CHC Digital is proud to announce its partnership with Kentico as an enterprise CMS & EMS solution.